Hardwood flooring is one of the most beautiful and durable flooring options available and they add value to a home. 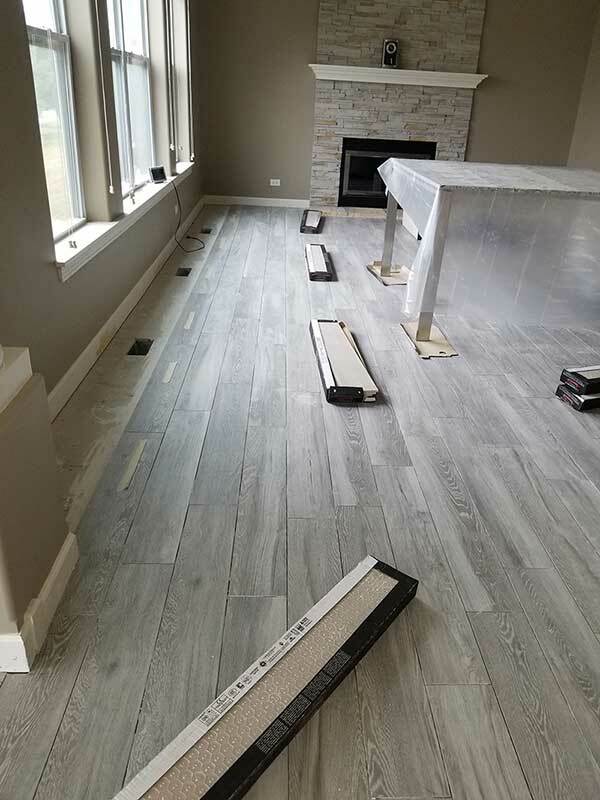 Art Z, a leader in flooring installation services for the Chicago area provides hardwood flooring installation for single or multiple rooms as well as the entire house. The professionals of Art Z can help you decided on a hardwood flooring type that best suits your home and manage the entire installation process. The selection of hardwood flooring is quite diverse with a number of different wood species available that vary in wood grain and color along with different types of wood flooring such as solid wood and engineered wood floors. Art Z can help you choose which type of wood floor would work best in your home depending on the location of the room and type of subfloor. Solid hardwood floors are composed of planks that are made out of one solid piece of wood. These planks are available in different widths with ¾” being the main size and they are generally available in domestic and exotic hard woods such as red and white oak, American and Brazilian cherry, hickory, and maple. 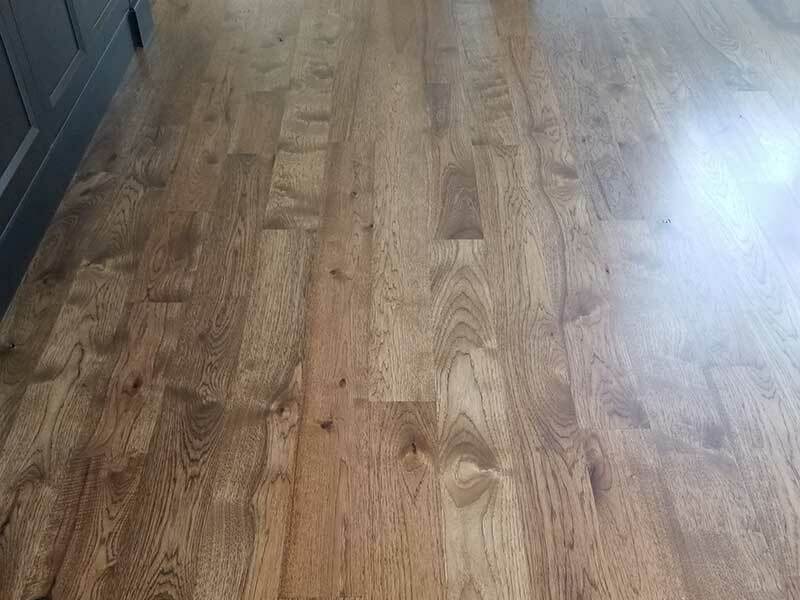 It is best to install solid hardwood floors in above ground applications on approved wooden subfloors because they are more sensitive to humidity and temperature changes. These floors can also be recoated and refinished. Engineered wood floors are another popular hardwood flooring option consisting of planks that are composed of several hardwood plies laminated together. These types of floors can be installed over different types of sub floors such as wood, dry concrete slabs, and even certain existing floors. The cross-ply construction of the planks of engineered hardwood floors reduces the expansion and contraction that solid wood planks experience due to changes in temperature and humidity. Engineered wood floors are available in North American and exotic hardwoods and can be installed anywhere in a home. The most common wood flooring options are offered in North American hardwoods but exotic hardwoods such as cork and bamboo are becoming more popular. Exotic wood floors provide looks and textures that North American hardwoods do not but certain species of exotic hardwoods are photosensitive and may experience a color change over time. Hardwood floors can be installed with a factory applied finish or installed unfinished with a finish applied after the installation. Prefinished hardwood floors typically last longer than site-finished floors because the factory applied urethane finishes are more durable than site applied finishes. Installing prefinished wood floors also eliminates the mess and extra waiting times of on-site finishes. Art Z is the leader in providing flooring installation services to the Chicago area and we can install all hardwood flooring types including solid wood, engineered wood, and exotic wood floors. We begin each flooring installation project by inspecting the area and helping the customer choose a hardwood flooring type that best suits their needs and budget. We then manage the entire installation process from start to finish using the proper tools and procedures. Hardwood floors are among the most aesthetically pleasing and durable flooring options available and with the proper care; they can continue to deliver that beauty to your home for a lifetime. The following are tips for proper hardwood floor maintenance. Regularly vacuum and sweep the floor using a soft-bristled broom. If you have pets, trim their nails and make sure their paws are clean. Protective window coverings can block UV rays and excessive heat that may cause the floor to fade. By periodically rearranging the rugs and furniture, you can help the floor age evenly. Remove your shoes before walking on the hardwood floor. Using a humidifier during the cold seasons will help control humidity levels to avoid shrinkage of the wood. Protect your floors with floor mats and pads under the legs of the furniture. Never clean a hardwood floor with a wet mop, damp mop, water, or any type of liquid. Avoid using buffing machines or steam cleaners on your hardwood floor. Avoid using soaps, liquids, or household cleaning products that contain oil, silicon, or ammonia. Do not use abrasive cleaners or cleaning tools such as steel wool or scouring pads. Avoid 2-in-1 cleaners that contain polish with acrylics or urethane. Art Z is one of the most trusted installers of hardwood floors in the Chicago area. Contact Art Z to learn more about our available hardwood flooring options and installation services.